For the Asian American and Pacific Islander community in San Francisco, there are few individuals who exemplify community engagement and service more vividly than Dr. Rolland and Kathryn Lowe. They have served on the boards of a wide range of non-profit organizations including the Chinese American Community Foundation, Chinese for Affirmative Action, The San Francisco Foundation, and more. Dr. and Mrs. Lowe have been powerful community partners and leaders in building the infrastructure necessary for our communities to thrive. Sadly, Dr. Lowe passed away on November 4, 2017. For over 40 years, he served as a family doctor and surgeon in San Francisco Chinatown. As important as his professional career meant to him, he was equally dedicated to being a community leader, educator and activist. 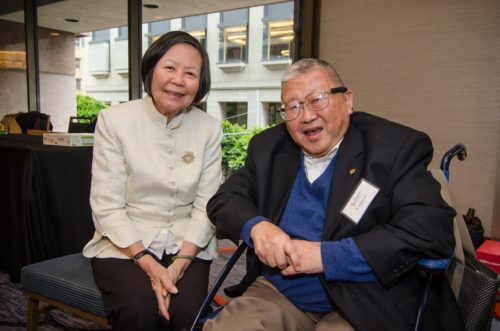 At Advancing Justice – Asian Law Caucus, we are deeply grateful to Dr. and Mrs. Lowe who were major donors to our Building Fund and our 40th Anniversary Campaign. We are just one of the many nonprofit organizations that have benefitted from their vision, mentorship and generosity. We interviewed their son Larry Lowe, Senior Legal Counsel at Tesla and our former Board Chair who, with his wife Jeanne, has followed his parents’ generous philanthropic footstep in supporting Advancing Justice – Asian Law Caucus. You can read the full interview below. Their children – Brennan and Marnie – have also volunteered in recent years for our organization. It’s inspiring to see in one family such a strong tradition of public service and passion for making this a better world for all of us. Your father was a family doctor and surgeon, a community leader, a professional leader and a philanthropist. What do you think your father would want to be remembered for? I don’t think my father would want to be remembered for his achievements as much as for his attitude and approach. He certainly had a lot of accomplishments – in his profession, in the community, in philanthropy and otherwise – but I think what he was most proud of was showing that one person, with the proper focus and dedication, was capable of making a difference. As you know, he really believed in the “Can Do” spirit, and wanted to show others what that attitude can accomplish, and to be an inspiration to others to strive for and achieve great things, too. What was it like being raised in a family of community activists and educators? Community service was not something that was discussed, or weighed or considered. It was just part of our lives, as much as work or education or play. We were fortunate that my dad’s profession afforded us a very comfortable life, so we didn’t have to make the same sacrifices that many others did while we served. But community service was always part of our everyday lives – the fundraisers, the community events, and the meetings. There was never any other way. It was never a question of serve or not; it was only how much. How did your parents’ political orientation, dedication to the community and philanthropy impact your own values and direction in your life? I don’t ever remember making a conscience decision that I should help the community. It was just how we all were brought up. We were always dyed-in-the-wool progressives; I remember going to Vietnam War protests as a child, and growing up always supporting the losing presidential candidate, whether it was McCarthy or McGovern or Humphrey. When I went to college at Cal, this all continued, which was easy at a school like Berkeley. I demonstrated, I went on strike, I ran for student office on a radically-progressive slate. This was all second-nature to me. That’s all I’ve ever known (or wanted to know). Are there any special memories of your father (or your parents) you want to share? I know my dad would admit himself that he wasn’t an ideal parent. He didn’t have time to get involved in our activities or even attend our events but I don’t think I realized that I missed all this until I, myself, was a parent. Despite this, I know my dad made conscientious efforts to carve out time for the family. We went out to dinner every Friday when there wasn’t a fundraiser, and tried to find different foods – like Persian, Thai, Korean, and more. My dad also made a point to expose the family to theater. We saw every musical that came through San Francisco while I was growing up. And, of course, we would go up to Lake Tahoe to ski every other weekend during the ski season like clockwork. It was time that was irreducibly for the family. I think that was necessary for Dad; it was the only way he could carve out ANY time. 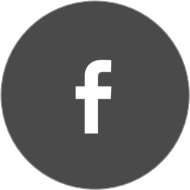 How did you become involved with the Asian Law Caucus? What drew you to become a volunteer (on the Annual Dinner Committee, Board and Leadership Council) and a major donor? When I became a lawyer, I had a natural interest in the work of the Asian Law Caucus as my way of contributing to the community, and I found a great affinity for the organization, its works and its ideals. It was always great to work with other fellow Asian American attorneys – which weren’t as numerous then as they are now. I knew I didn’t have the legal skills to help the Caucus, so I focused on the organizational and development aspects, and trying to be a leader and role model in the legal profession, to hopefully encourage others to also support the organization. What aspects of ALC’s work and programs are most meaningful to you and to the community? Consistent with my upbringing, the representation of Chinese Americans that couldn’t afford legal services was probably the work that struck closest to my heart – landlord-tenant, employment rights and racial discrimination cases. Social justice was something that my family has always cared deeply about, which is why I think my entire family were huge supporters, too. I felt that the national affiliation issue was a critical one for ALC, so I worked hard to make sure that the Caucus had a strong voice in the national scene. It wasn’t always popular, and certainly wasn’t easy, but I was dedicated to see it through, and I hope it will turn out to be the right move. How did your children get involved as volunteers during college at ALC too? They have both decided to pursue legal careers and both are hugely interested in social justice, so ALC was a natural fit. I was fortunate that the Caucus made opportunities for them. I’m very appreciative of that. What makes you most proud of your parents and your children? I’m still in awe of my dad, of his dedication, his skills and his vision. He was a leader without advocating; accomplishing his agenda by getting others to agree with him. I didn’t appreciate the role my mom played until later in my life, but she was a strong advocate and solid base; my dad couldn’t have done what he did without her support. It’s too early for me to be proud of my kids, but I am proud that they are progressively-minded, that they appreciate good food and theater – Star Wars and the Giants – and that they are thoughtful and positive. I hope it serves them well. I hope more families will develop a tradition and legacy of community service. One of the few disappointments in my time was to find that there were many lawyers, including some very successful ones, that not only did not have a passion for community service, but who weren’t even interested in or supportive of it. Attorneys, especially, have a moral and professional duty to serve the community but, most aren’t interested. That’s very sad to me and I hope the next generation of lawyers has a different set of priorities and perspectives.